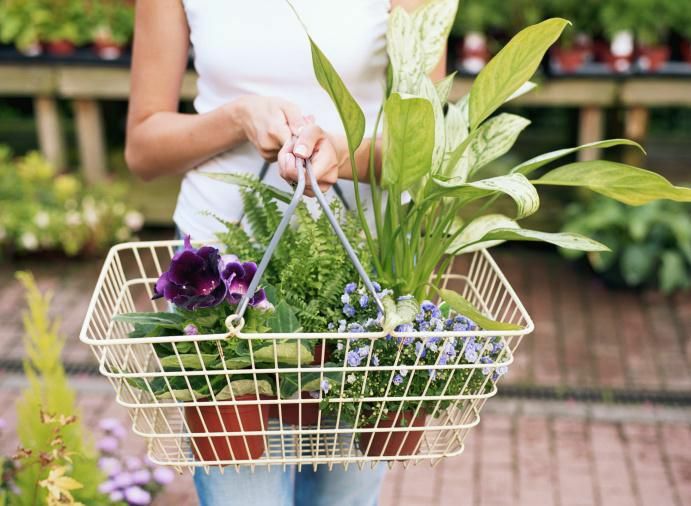 Nurseries and garden centers provide a wide variety of home and garden decor, plants, and gardening products. The following places offer the largest selections of trees and shrubs in the Washington, D.C. area. You will find an assortment of colorful flowers, perennials, tropicals and seasonal accessories for your home and garden. Get help with landscape design and installation. Many of the nurseries offer unique decorative items and personal gifts, as well as tools, seeds, soils and mulches. American Plant Food Garden Center and Nursery (2 locations) - 5258 River Road, Bethesda, Maryland (301)656-3311 and 7405 River Road, Bethesda, Maryland (301) 469-7690. The 90+ year old garden center, boutique & landscape design/build business offers plants, flowers, trees & shrubs, home decor items and personal gifts, as well as a complete line of tools, seeds, soils, & mulches. Behnke Nurseries Co. - 11300 Baltimore Avenue, Beltsville, Maryland (301)937-1100. The 75+ year old locally owned business offers a wide range of plants, flowers, trees and shrubs, gardening supplies and landscaping serivices. Ginkgo Gardens - 911 11th St., SE Washington, DC (202)543-5172. Located in the heart of DC on Capitol Hill, the full service garden center provides plants, flowers, garden products and services. with a focus on the urban gardener. Johnson's Flower and Garden Center (2 locations) - 10313 Kensington Pkwy, Kensington, Maryland (301) 946-6700. 5011 Laytonsville Road, Rt. 108 & Zion Road, Olney, Maryland (301) 987-1940. The garden centers specialize in unique varieties of annuals, perennials, vegetables, herbs, organic and non-organic seeds, spring and fall blooming bulbs, trees and shrubs, and fruit trees and berry bushes. The garden supply departments carry organic and non-organic fertilizers and soils, mulch, garden tools, and birding supplies. 12101 Lee Hwy, Fairfax, Virginia (703) 968-9600. 6895 Wellington Rd in Gainesville, Virginia. The family-owned business is a full-service garden center, nursery and landscaping company. Old City Farm and Guild - 925 Rhode Island Ave NW, Washington, DC (202) 412-2489. the urban garden retail center is a garden oasis with a wide variety of plants and supplies, gardening advice, and events. Patuxent Nursery - 2410 North Crain Hwy. Bowie, Maryland. (301) 218-4769. Patuxent features a gardening oriented gift shop, outdoor living accessories, a large selection of trees and shrubs, colorful flowers, perennials, tropicals and organically grown edibles. Stadler Nurseries (3 locations) - 6815 Olney-Laytonsville Road (Rt. 108), Laytonsville, Maryland (301) 944-1190. 5504 Mt. Zion Road, Frederick, Maryland (301) 473-9042. 10200 Stadler Place, Bristow, VA 20136, 703-257-2800. The 80+ year old family owned nursery offers one of the largest and most diverse plant selections in the area including landscape shrubs, seasonal color, over 700 varieties of perennials, native and unusual plants. Sun Nurseries - 14790 Bushy Park Rd., Woodbine, MD (410) 442-2090. The garden center offers a huge selection of annuals, perennials, trees and shrubs, pottery, benches and sculptures, decorative items, organic pesticides, deer repellents, fertilizers, watering & irrigation supplies, gardening gloves, books, seasonal items, and more. Susanna Farm Nursery - 17700 White Ground Road, Boyds MD (301) 972-7513 or (301) 938-3440. The nursery specializes in dwarf and unusual evergreens and Japanese Maples.